Bank Stress Test. A changing model. Bank failures are such a traumatic event for society. Think of bank failure and the first few images that come to our mind are tragedy and social upheaval. Pre 2008 our generation had only heard of the great depression. Post 2008 when we refer to a financial crisis we no longer look back at 1930s. We have our examples after having lived through personal challenges created by a banking system under threat, with liquidity locked down by fear. Regulatory thinking and response to bank failures has also evolved over thirty years. Bank regulators have come full circle from thinking they can manage and direct risk taking behavior to indirectly admitting they can no longer control or manage that specific function. Two, the speed at which markets move and react today and the amount of data generated by even a mid sized bank, makes it impossible for a regulators to respond in time. Three, without an adequate well thought out response and a team with clear ownership in place, no bank can survive a directed threat against its existence in the current fragile operating environment. The bevy of bank regulation focused on internal capital adequacy analysis and stress testing reflects this realization. A history of stress test models in banking regulation. From ICAAP to ILAAP and CCAR. There was always an emphasis on involving and empowering boards when it comes to managing the risk profile of a bank. But compared to the lip service model in place in the pre-2008 world, there has been a clear shift towards more active involvement of boards in the capital management and planning process. The shift is supported by increased regulatory pressure on specific ownership, review and process requirements that park the ball directly in the board room. Regulation and judicial precedent is now holding boards responsible for oversight and fiduciary responsibilities. While we have not as yet sent entire boards or a leading financial services board member to jail for negligence, that day is not far off. Especially if Senator Warren and others legislators like her keep on asking difficult and awkward questions about complicity of regulators and bankers. Ignore the social awkwardness for a second and think about the shift in regulatory stance. If boards take the time to understand risks booked on their balance sheet; if organizations do a better job of analyzing those risks up front and beforehand, it will only help reduce the odds and the public and social costs of bank failure. Objectives of a stress test. 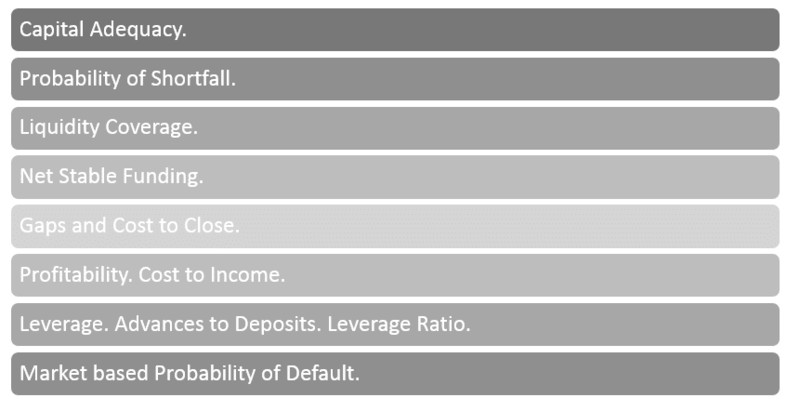 The objective of a stress test is to see how well the bank would fare under certain conditions of stress. The idea is to identify weaknesses upfront and address them across a broad range of measures and metrics. The focus is on measures of capital sufficiency and avoiding ending up in an “impaired state” as a bank. Unfortunately in the financial services world, there are no grey or “impaired” states. Either you retain the confidence of the market and the regulators or you are dead in the water. Is there a standard deck of metrics that a bank should focus on? That the stress test should monitor for bank health and longevity? That management and boards should use to evaluate capital sufficiency. What signals do markets and regulators care about? Are there any leading indicators of trouble on the horizon that bank boards should focus on? To answer these two questions we dig a little deeper. Here is our plan of action. If we go through a quick history of bank failures or name crises leading to bank failures, we see a few common faces again and again. It is no surprise then that the regulatory response to bank failure focuses on the same elements. Malfunctions are a breakdown of the control process. Within a banking system oversight, limits, review and a reporting hierarchy are supposed to ensure that these breakdown do not occur. Regulators target and cover the possibility of such a break down with their onsite audits and inspections of the investment, middle office and risk review teams. And so do organizations. A stress test team focuses on how a seemingly acceptable and liquid position, well within approved limits and risk profiles can turn into a white elephant or a London whale overnight. Or what would normally be considered an acceptable shock to the market cascades into a non-survivable wave because of unexpected and unplanned for factors that dramatically increase the size of the wave. When that happens what would be our suitable and well thought out response? Bank Stress Test Shock. Underlying causes. Our response would depend on which core metrics are we targeting as part of our stress test. In the recent history of regulatory reporting that focus was on capital adequacy and in the US on leverage ratio. Today the core metrics are much richer and complex. 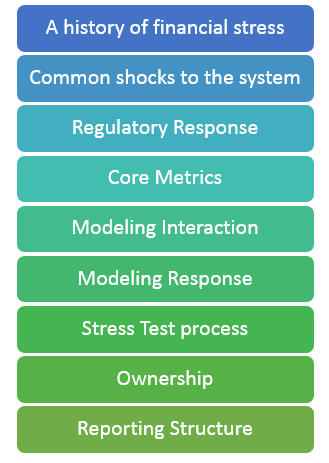 Common Stress Test metrics that need to be tested and tracked. This increased sophistication has also changed expectations from a stress test. Liquidity coverage, Net Stable Funding Ratio, Probability of Shortfall (A reverse Stress test approach) and a market signal based probability of default approach are not new models. They have been identified, described and debated for inclusion once the world started discussing the revised Basel III standard. The 2008 crisis fast tracked their review and inclusion into regulatory reporting. The worst case daily market price shock. Using historical scenarios based on market crises and market crisis datasets that would repeat price movements over a period of days and test for impact on capital adequacy. This price shock analysis would be applied (in isolation) to positions in fixed income, equities, commodities and currency markets. Model market volatility by looking at highs and lows and occasionally assuming perfect correlation and removal of diversification benefits. 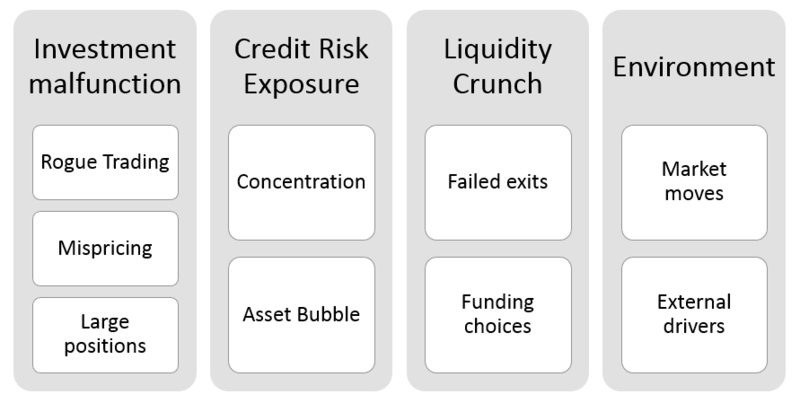 A combination of independent credit shocks, market shocks, simple liquidity shocks and their combined impact on capital adequacy. In essence the stress test was a superficial exercise. It stressed and tested the bank balance sheet but only at a high line of business level. Very few stress tests in the 90’s or at the start of the 21st century dug as deep as the regulators intended. Admittedly ICAAP was a step in the right direction but with that effort also the analysis was primarily driven by a compliance only mindset. Today the expectations for stress testing tools has changed completely. For the 2016 cycle, the severely adverse scenario is characterized by a severe global recession in which the U.S. unemployment rate rises five percentage points to 10 percent, accompanied by a heightened period of corporate financial stress and negative yields for short-term U.S. Treasury securities. The adverse scenario features a moderate recession and mild deflation in the United States, as well as weakening economic activity across all countries included in the scenario. 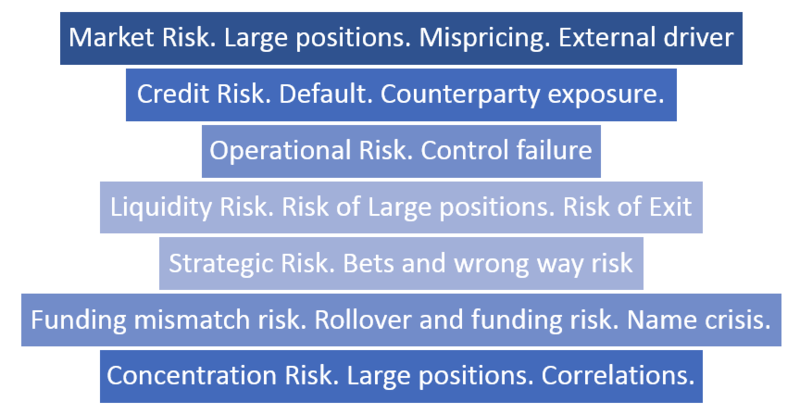 The adverse and severely adverse scenarios describe hypothetical sets of events designed to assess the strength of banking organizations and their resilience. They are not forecasts. The baseline scenario follows a similar profile to average projections from surveys of economic forecasters. It does not represent the forecast of the Federal Reserve. Each scenario includes 28 variables–such as gross domestic product, unemployment rate, stock market prices, and interest rates–encompassing domestic and international economic activity. Along with the variables, the Board is publishing a narrative that describes the general economic conditions in the scenarios and changes in the scenarios from the previous year. 88 summary line items across 9 projected reporting quarters and three broad based economic (baseline, adverse and severly adverse) scenarios under the summary metrics worksheet. Compare this to a historical stress test extract prepared and submitted in the pre-2008 environment. 5 tabs with two to three line items each across three static baseline rate shocks for a total of seven stress tested factors. And a summary tab showing cumulative impact of all shocks. Cumulative Stress Test shock impact on capital adequacy. Pre 2008 standard. Bank Stress Test. Thresholds and tolerance limits. Markets intervene when they taste blood in the water. A market intervention results in a stampede (run) to reduce exposure to the name in question. Regulators intervene when they feel a market intervention will create a domino effect and threaten the stability of financial systems. A market intervention follows the winner takes all, last in, first out approach. A regulatory intervention tries for an ordered shutdown, exit or takeover. Unfortunately both interventions happen significantly above regulatory minimums. Both markets and regulators have learned through painful experience that the time to act is not when a threshold is breached but when the direction for a ratio indicates that it will be breached within the next 6 – 12 months. This represents a second change in mindset. The threshold being tested today are very different from the thresholds specified in the ’90s. In the ’90s we tested for erosion of capital. In 2016 we test for impairment. There is a world of difference between the two. Erosion meant your models could drive the bank all the way down to the bones before markets or regulators would react. Impairment means you are now testing for blood in the water. Because with the hypersensitivity created by the last financial crisis, that is all it would take to leach out liquidity from your balance sheet. The real challenge with bank stress testing. Here is the real challenge with stress testing. Banks are struggling with the process because they still treat it as a risk based cost center exercise required for regulatory compliance. The language used in protests focuses on cost and effort required to comply; the view that somehow the requirement is negotiable and will somehow go away. Modeling is really not a challenge because when it comes to new product development, pricing or arbitrage opportunities, there is no shortage of talent, hardware, technology infrastructure or processing cycles available in a quant shop. And in case you are not running a super sophisticated trading desk, there is no shortage of consultants who can help set the infrastructure for you. We think integration and correlation are challenges but they are not. Acceptable solutions have existed and have been used for the last two decades. You can use both copula as well as copula free approaches to handle some of them. Bank Stress Test. Risk Integration challenges. The real issue is the seriousness with which the exercise is under taken and its invasive-ness when it comes to dissecting the core banking profitability model. The new stress test regime is giving a different level of insight to regulators on exposures banks are carrying, the capital that is supposedly available for underwriting that exposure and their plans for managing them under times of stress. And that brings us back to the question of ownership and execution. Who should the stress test function report to? Here is the honest truth. The Enterprise Risk function is the last place where the stress test should be conducted or housed. 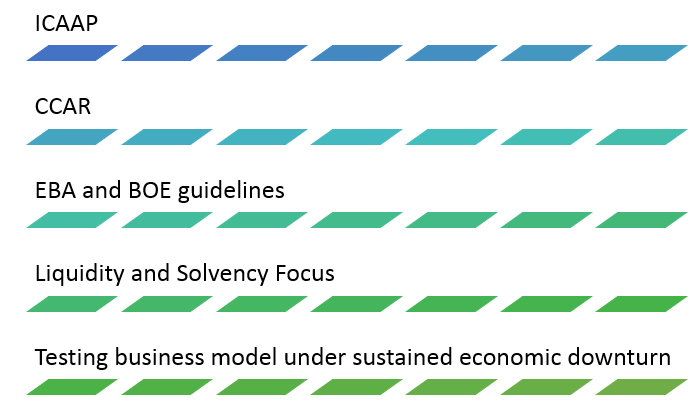 From a modeling point of view, the Enterprise Risk function has the best modeling skill set in the bank. From a data point of view they have a disadvantage because business in general is not comfortable in explaining how they run the business or sharing core data that shows possible weaknesses or threats to model or regulation. From a reporting, power and influence point of view the picture is mixed. 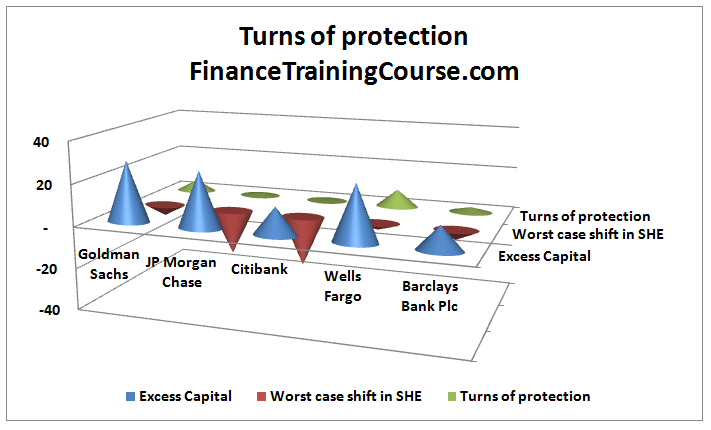 Even the most enlightened of banks view the risk function as a necessary evil. It makes the risk conversation and the required follow up awkward. From a domain point of view, unless the stress testing team has had actual exposure running the business line their ability to understand core drivers of risk and sources of shock is limited. Stress testing scenarios generated by such a team would most likely be superficial in nature and would not serve the actual objectives behind the stress test. We have seen many instances of such shortfall when non treasury teams test investment portfolios and non credit team try to get a grip around credit exposures. The only solution is to devolve the stress test to business. Which means let the business, model and report the stress test results. Keep Enterprise Risk or Middle Office as a consultant, adviser, mentor or auditor of the stress test process but shift the core responsibility to business. If model building is a challenge use Risk resources to model portfolios and shocks, but let business drive the design of scenarios. This creates additional challenges and adds many more conflicts and headaches but it is the only way to educate the business about the value created by the exercise. It also addresses the cost function. Because once stress test modeling becomes part of business, it no longer remains a cost center. It is not enough to make business responsible. Push out the results to the Management Committee of the bank and the higher level business functions. Not just the risk committee. This visibility and traction is required by the intent of the regulation. Without the entire exercise is for naught. It took only a few days for both Bear and Lehman to go under. Over a hundred year of operating history and billions of dollars in shareholder value. Not to mention the ensuing pain the failures unleashed on the world. It is better to invest in resources and infrastructure today than face a similar outcome a few years down the road. Previous Previous post: Using Copulas to model spread between WTI and Brent.